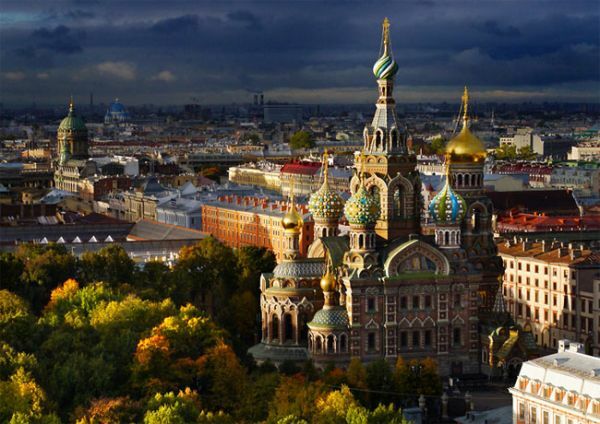 International Academy of Art is located in Saint Petersburg, Russia. 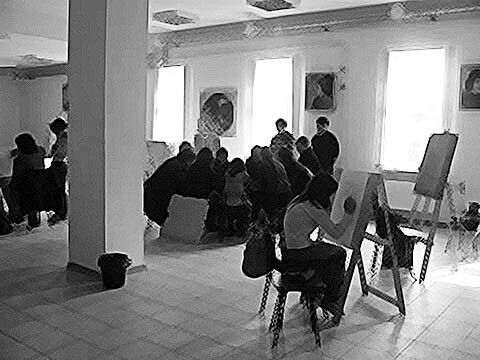 A member of Education Ministry of Russia, this academy is directed and operated by professional and popular international artists in different courses and fields. IAA provides a positive and artistic environment for students studying in different art majors like Painting, Sculpture, Ceramics, Graphic design, Photography, Korean Arts …. International Academy of Arts (Mezhdunarodnaya Akadeniya Iskusstv - MAI) is a cultural educational institution based in Saint Petersburg, Russia. The staff and faculty members of the Academy are highly acclaimed Russian artists with extensive experience in working with international students. International Language of Arts is series of creative residences for students initiated by International Academy of Arts in Saint Petersburg, Russia. The residences topics embrace wide range of artistic disciplines, including music, acting, and fine arts. For each residency topic there are two options: 21 days and 42 days of staying. Each residency includes accommodation in the heart of Saint Petersburg, two sightseeing tours, meetings with creative people of Saint Petersburg, and series of workshops and lessons according to the residency topic. We are very much looking forward to starting working with your students in the most beautiful and culturally developed city of Russia! Международная академия искусств (Санкт-Петербург, Россия) представляет серию творческих культурно-образовательных программ для студентов вузов «Интернациональный язык искусства». Каждая программа разработана в двух вариантах – на 21 и 42 дня пребывания. В программу, помимо лекций и тренингов, включены размещение в самом центре Санкт-Петербурга, две обзорные экскурсии, а также встречи с творческими людьми Петербурга. Мы будем рады приветствовать вас и ваших студентов в культурной столице России! Our mission is to teach fundamental principals, methods and techniques of classical art, diligently transmitted over the centuries since the Italian Renaissance. 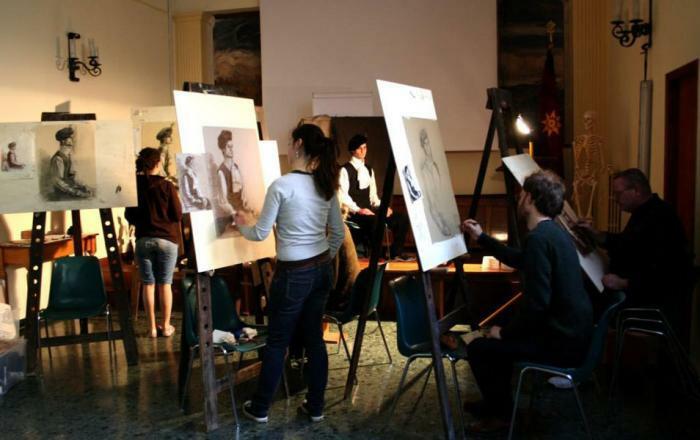 Our academic program provides thorough training in anatomy, composition, chromatics, perspective, painting, constructive drawing and sculpture, and study of the works of Old Masters. With this solid framework, students can thus develop their own individual style and creative expression, becoming in essence New Masters. In Florence one can be in direct contact with the original works of masters such as Michelangelo, Leonardo da Vinci and Botticelli who emerged, lived and worked in Florence. The Galleria degli Uffizi, Palazzo Pitti and several other museums feature among the most prominent art collections in the world. In addition to aesthetic and technical excellence, we encourage our students to grasp the vital importance of the spiritual, humanist and Christian values that motivated and inspired the great Masters. Our instructors are highly qualified with vast experience in the arts and trained in art academies in Russia, Asia, Europe and America. 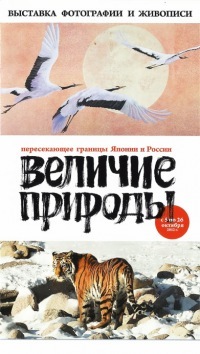 The classes are held in both Russian and English. 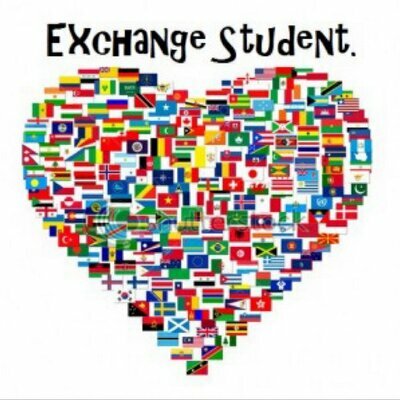 Especially there is no need any English certificate such as TOEFL and IELTS for our students who are registering by us. 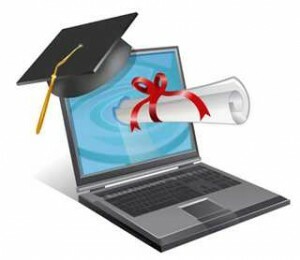 Registering all academic majors of the university including Engineering, Fundamental Science, Human Science, Medical Science, Technology, and etc. This website has been secured and authenticated for safe and trusted business transactions.